Use your card anywhere Mastercard® is accepted. At stores, online, over the phone, anywhere! 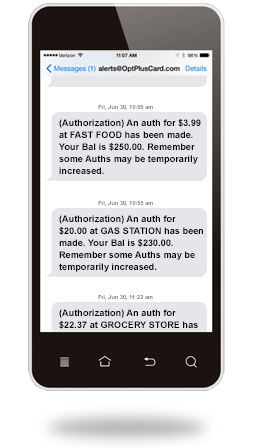 Instant text alerts & emails keep you informed. 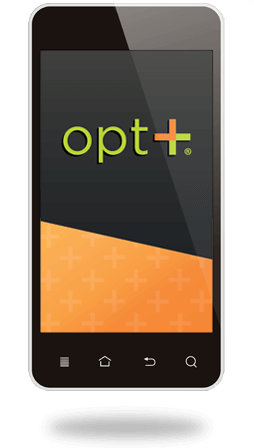 It's easy with the Opt+ mobile app. Our features make it easy to manage your money. *Direct Deposit is not available to BC residents. Download the Opt+ mobile app! Check your balance, transfer money, and more! Add funds to your card using Interac® Online. Funds will be transferred from your bank account to your Opt+ prepaid card after one business day. You can also load money to your card at no cost at any Cash Money location! 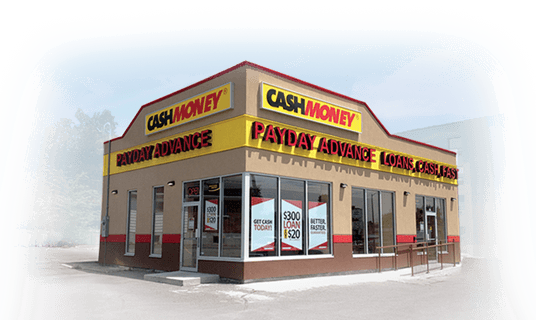 You can load money to your card at no cost at any Cash Money location! Sign up by visiting your online account to receive email and text alerts for card activity so you can always know your balance. Have all or some of your paycheque deposited directly to your Opt+ card. To sign up for direct deposit, login to your online account, click here to download your form, then submit your completed form to your payroll or benefits office. 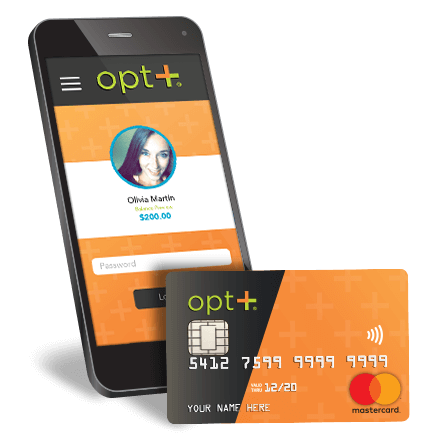 Get the Opt+ prepaid Mastercard® for one low monthly fee! 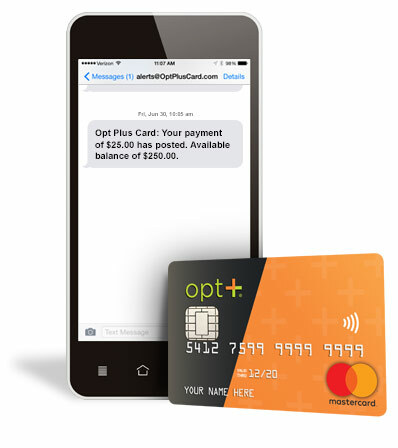 Enjoy a secure, easy way to manage your money with an Opt+ Mastercard® prepaid card.